Rev. Pinkney is now under house arrest. He will go to jail if he uses his computer. He is being charged $105.00 per week to be tethered. Last Thursday many, many police officers surrounded his house and drove up and down his steet repeatedly. Rev. Pinkney and others led a petition drive to recall corrupt Benton Harbor mayor James Hightower. He's known for acting in the interest of Whirlpool, not the residents. Four Benton Harbor voters wrote letters to the Berrien County Clerk stating they wanted their names removed from the recall petitions they signed. We can only guess what tactics were used by Hightower or law enforcement to obtain permission from these four voters to "write" the letters. All four letters had the exact same legalese wording. Apparently the identical letters didn't cause the county clerk to blink an eye. In Berrien County, everyone falls in line. Go along to get along. The letters were the basis for a huge show of armed force at Rev. Pinkney's house last Thursday, April 24. Surrounding the house were approximately 30 officers -- an effort to intimidate Pinkney. They also drove up and down his street, over and over. Can you imagine this happening across the river in St. Joe? 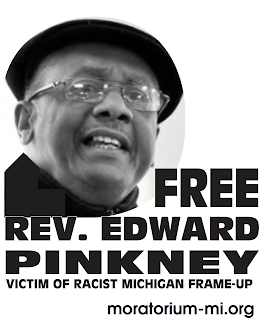 Pinkney is now under house arrest, tethered, and not permitted to use his computer. The judge made it clear: if he uses his computer he will go to jail. 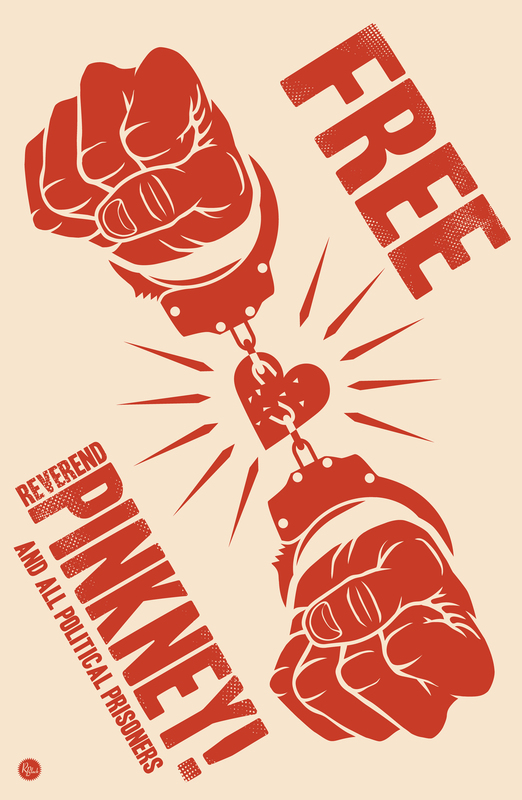 Pinkney is charged $105.00 per week to be tethered. Even though all four letters had the exact same wording. Mayor Hightower was losing the election 4 to 1 according to on-the-ground conversations, reports Rev. Pinkney and other petitioners. So Whirlpool, Lakeland Hospital, Berrien County prosecutor Michael Sepic, Sheriff Paul Bailey, and mayor Hightower came up with a scheme. They found four people to help them manufacture (false) evidence by "writing" letters to the court. That would enable them to charge Pinkney with election fraud. I'm asking that my name be withdrawn from the petition regarding the recall of Mayor James Hightower. Deception was used and the petition was misreprented by the person that gave me the petition to sign. I was told it was to receive taxes from Whirlpool. Again, please remove my name from this petition. I was given false information before signing. Hear mayor Hightower speak in post below. Rev. Pinkney demands that Berrien County Clerk resign because Judge John Duane set aside the election. In other words, Clerk Sharon Tyler sued herself and the judge ruled in her favor.